Are you looking for a place to relocate to retire? You might not have to go as far as you think! On the list of the top 10 Best Cities to Retire (according to CNN Money) among Pittsburgh, Boise, Lexington, and Salt Lake City is Raleigh, NC! The current population is 431,800 and from 2000 until 2010 the population of those aged 55 to 64 increased by 97%. 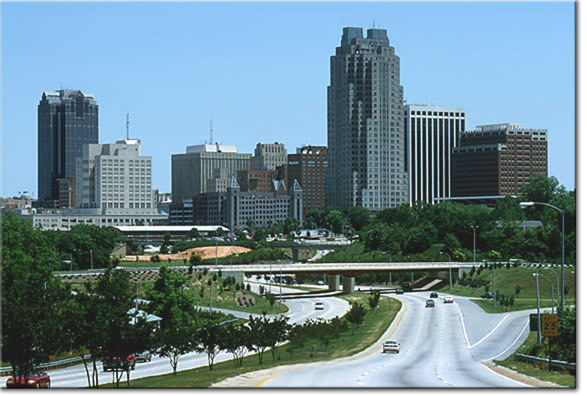 Raleigh has mild four season weather and lost cost while still providing that Big City feel. I highly recommend that you check out Midtown/North Hills for the great deals and location. As we say in Real Estate: Location, Location, Location! Townhouses in that area go for about $200,000, which isn’t all that bad when you think about the price of a home. With a townhouse you have less lawn to manage versus that from a regular home. In the city of Raleigh there is a variety of restaurants, sources of entertainment and art pieces to enjoy. You can go for Southern Barbecue one night or Italian the next, maybe try Mediterranean. The Duke Energy Center for Performing Arts shows everything from musicals to operas to housing local high school graduations! With income taxes at 5.8%, sales tax at 6.75% and median property tax at $1,800 there are plenty of reasons why you should consider Raleigh, NC as your place to relocate during retirement. Posted on November 20, 2013 by marykim1 •	This entry was posted in Lifestyles of Raleigh and tagged 55+, City of Raleigh, CNN, CNN Money, Downtown, Entertainment, Midtown, North Carolina, North Hills, Property Tax, Raleigh, Raleigh NC, Relocation, Retire, Retirement, Sales Tax, Seniors, Tax, Top 10, Top 10 Best Cities to Retire, Townhouses. Bookmark the permalink. ← What is your favorite brewery in Raleigh, Fuquay Varina, Holly Springs and surrounding areas?